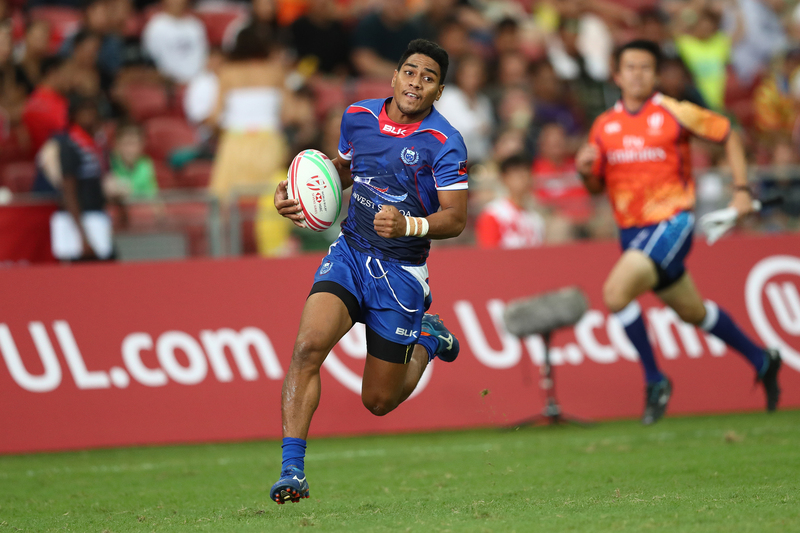 The Manu Samoa 7s have solidified their sixth-place position in the World Rugby Sevens Series standings by coming fifth at the Singapore 7s tournament. They finished above both Australia and Argentina, their closest rivals in the Series (seven and eight points behind respectively) with two tournaments left. 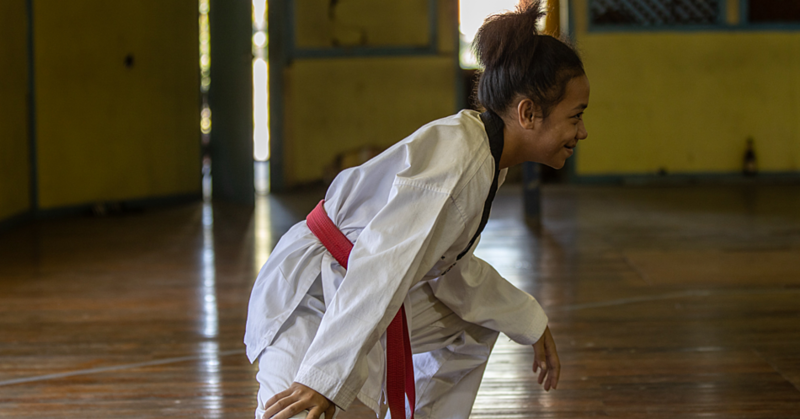 However, South Africa’s tournament win means it will be all but impossible for Samoa to overtake them to crack the top four and achieve automatic Olympic qualification. 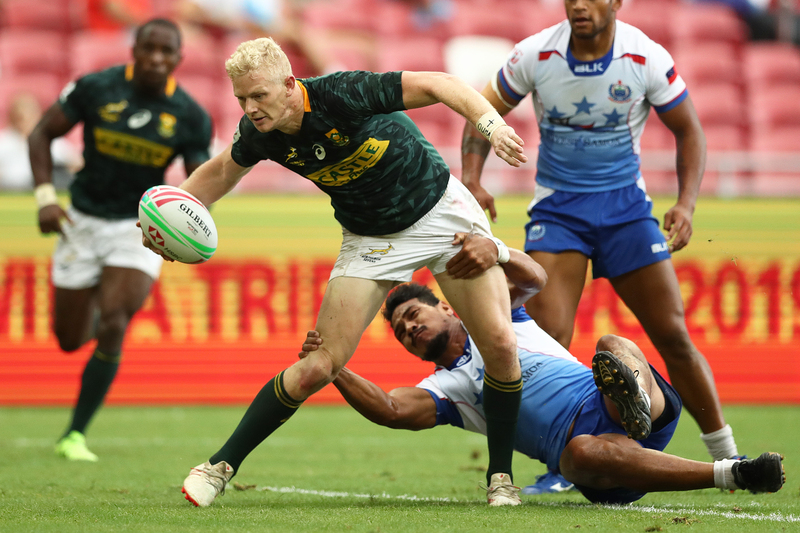 After falling to the Blitzbokke at the quarterfinal stage in Singapore, Samoa picked themselves up to defeat Argentina and New Zealand on their way to fifth place. It was a close game against Argentina, with both sides scoring a try in each half. Tila Mealoi and Paul Scanlan scored for Samoa, and their perfect record from conversions gave them the 14-12 win. Samoa then got revenge on the All Blacks Sevens for their 26-22 win in pool play, beating them 19-17 in the fifth place final. 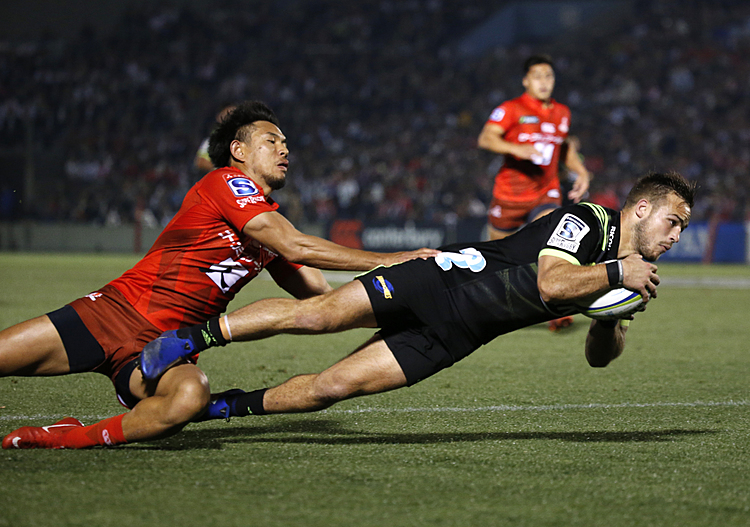 Again it was conversions which made the difference, with both teams scoring three tries each. John Vaili and Tomasi Alosio scored in the first half to give Samoa a 14-7 lead at the break. But both of them picked up yellow cards in the second, and New Zealand took the lead after tries to Sam Dickson and Joe Ravouvou. 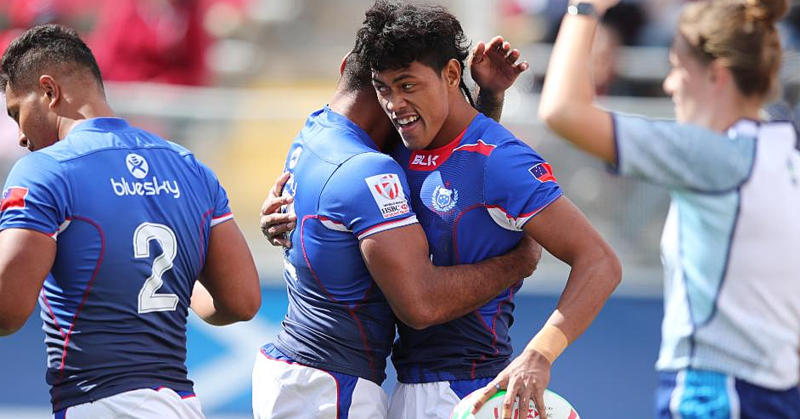 Vaili scored his sixth try of the tournament with the final play of the game to win it for Samoa. Those six tries made Vaili the third highest tryscorer at the Singapore 7s, bumping him up to seventh overall for the season. 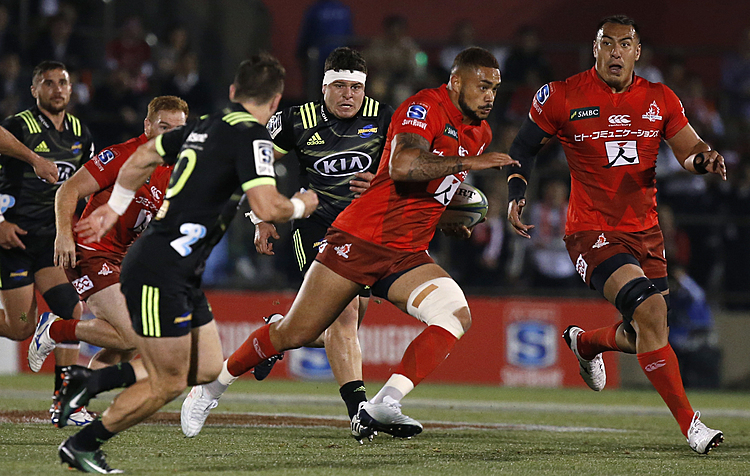 It was a tremendous tournament for the Manu 7s winger, who won the DHL Impact Player award with the highest individual output from any player on the series this year. He had the most offloads (11) and carries (32) at the Singapore 7s, which added to tackles and breaks made to give him a total of 54. The next Series tournament is in London on the 25th and 26th of May. Samoa have been drawn in the same pool as Fiji, France and Kenya.